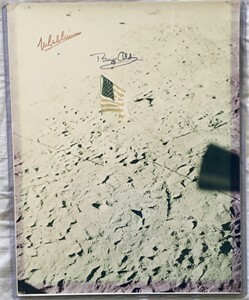 Apollo 11 moon landing 11x14 inch photo autographed by all three history making astronauts: Neil Armstrong, Michael Collins and Buzz Aldrin. 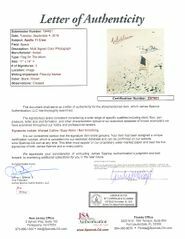 Obtained directly from the family of a crew member on the recovery ship USS Hornet who obtained the autographs in person. 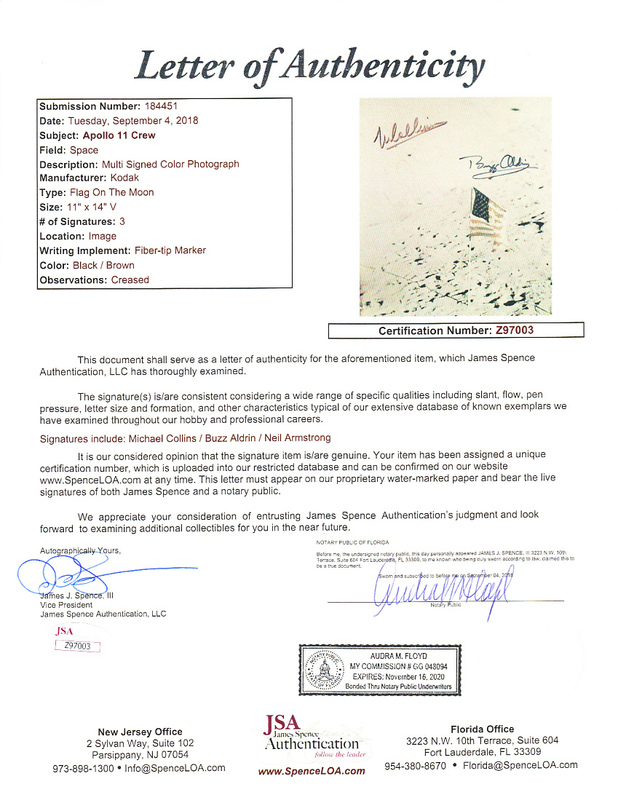 Authenticated by JSA with their Letter of Authenticity. 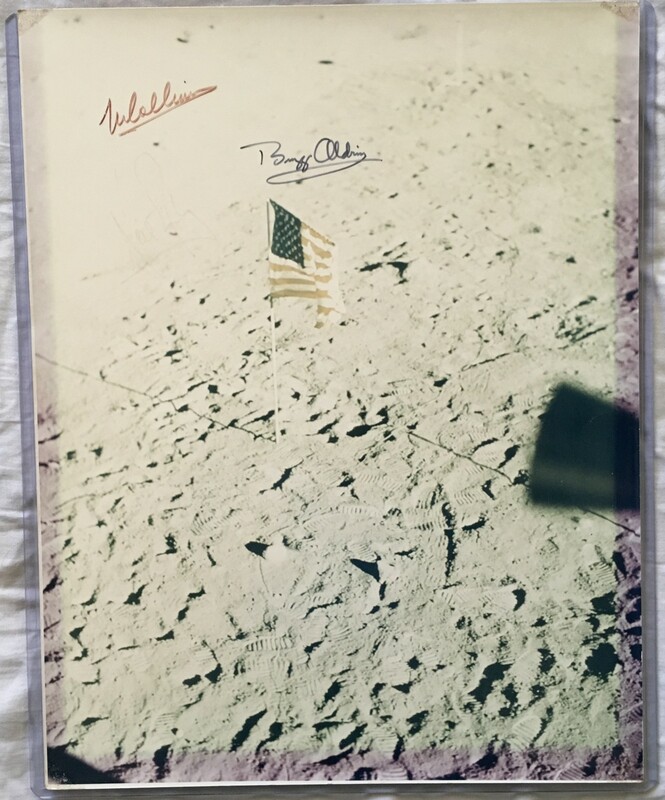 Unfortunately the photo was exposed to sunlight or fluorescent light and faded over the years, with Armstrong the most faded by far but still visible. The photo also has a minor one inch crease near the middle right edge and typical age flaws and wear. This is obviously a unique piece of American and space history.